Use of the 4Leaf Survey: A New Vital Sign? Next “Vital Sign” in Medicine? A simple tool that can be completed in two minutes, the 4Leaf Survey was designed to help people everywhere estimate the percent of their daily calories that are derived from the healthiest of foods–whole plants, still in nature’s package. Could what we eat be more important to our health than not smoking? The U.S. Centers for Disease Control and Prevention (CDC) estimates that poor diet is as harmful to health as is smoking. Yet, while smoking status is routinely assessed at every patient visit, evaluation of dietary health is neglected because a quick tool to assess its status has been lacking. Until now. The simple 4Leaf Survey can provide an estimate of the percent of one’s daily calories that are derived from the healthiest of foods: whole plants. In so doing that 4Leaf score can serve as a dietary vital sign, assessing the healthfulness of each patient’s diet. (One page, self-scoring survey) Now available in a total of eight languages and in a Kid’s version. Click here to view links to all of them. Without a doubt, the future of medicine will include a great deal of focus on what we put on our forks. In fact, it has already begun in many parts of the world. Primary care, mainstream physicians (who are fed up with disease management) are embracing a whole new way of practicing medicine. They are now harnessing the power of food to reverse disease and promote health. The primary goal of 4Leaf is to increase the size of the tiny green portion of this graph. The healthiest people at the 4Leaf level, deriving over ten times as many calories from whole, plant-based foods than the SAD shown here. These doctors are top notch physicians with degrees from Yale, Columbia, NYU and Cornell, and they’re practicing medicine at places like Bellevue Hospital in New York and Kaiser Permanente in California. Many of them have already started using our 4Leaf Survey score as a new vital sign of medicine. “When diet and exercise are not enough…” How many times have you heard this phrase during TV commercials advertising a never-ending stream of drugs? The problem is that, up until now, medical doctors rarely told patients anything at all about the most important word in that phrase: diet (let alone what constitutes a healthy one). Like almost everyone else in the developed world, our medical professionals have never been taught what constitutes an optimal diet or how crucial it is to human health. But that sad fact is about to change. So, how do the physicians know how well their patients are now eating? It all starts with the 4Leaf Survey. While waiting to see the doctor, the patient takes the one page survey. That’s when the average patient first realizes that he/she is eating nowhere near an optimal diet, with most of them scoring below the 1Leaf level. Food is about to become a huge part of healthcare. Reviewing with the provider. The patient then reviews the survey with the medical provider. They are given handouts to explain the various leaf levels and suggestions as to how to improve their score* and, more importantly, their health. In addition, they are sent home with a daily version of the survey and a tracking form to use to monitor their progress. All of these forms can be found under the “4Leaf Toolkit” tab at 4leafprogram.com. As mentioned earlier, the survey is now available in seven languages and there is also a Kid-friendly version. Engaging the patient in the process. This is the secret behind the use of the 4Leaf Survey. 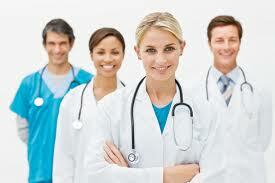 It is a simple tool that gets the patients actively engaged in the process of taking charge of their health. With the survey, they can easily see where they are losing points and can quickly begin replacing some of their “negative” points with “plus” points that accompany the whole, plant-based foods. More calories from whole plants; less from everything else. How simple is that? Next comes meal planning. The key is replacing animal-based and highly processed foods with whole plants. With the handy tools found on 4leafprogram.com, the patient begins by working on transforming all of their “routine” meals to the 4Leaf level. CAUTION: Eating this way may quickly decrease your need for medications. You should tell your physician what you’re doing. 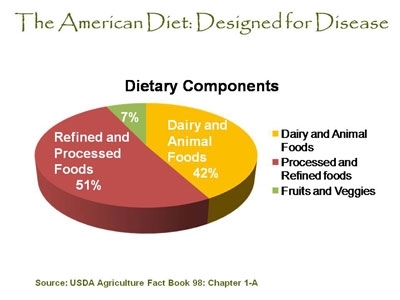 If he/she is unfamiliar with, or skeptical of, this eating-style, please direct him or her to nutritionstudies.org and plantrician.org. Highly efficient. For the health-care professional who is more interested in promoting health than in managing disease, there is no more efficient process to evaluate diet and promote improvement than 4Leaf for Life. Simple + effective + low cost + fast = very high value. By prescribing the 4Leaf Survey, the many helpful tools on this website and our new book, “4Leaf Guide to Vibrant Health,” physicians can facilitate huge improvements in the health of their patients with very little expense (or time) expended by the patient or the physician. One more thing–An unsolicited endorsement of our 4Leaf model from Dr. T. Colin Campbell, who sent me an email while participating in a high level cancer conference featuring fifty of the world’s top cancer researchers. During that conference, in response to my 4Leaf “vital sign” newsletter (9-30-15), he compared our 4Leaf Survey model to the “very comprehensive survey models” that were being presented at that conference.